Max painting expertise in exterior/interior paint and stain comes with thirty years experience. Over the past three decades max has revived thousands of houses around the New Orleans metropolitan area. Our services in painting, staining and maintenance are unlimited and come with excellent customer service and peace of mind. Our vast knowledge of preparation, material and execution will no question that you have made the right choice. 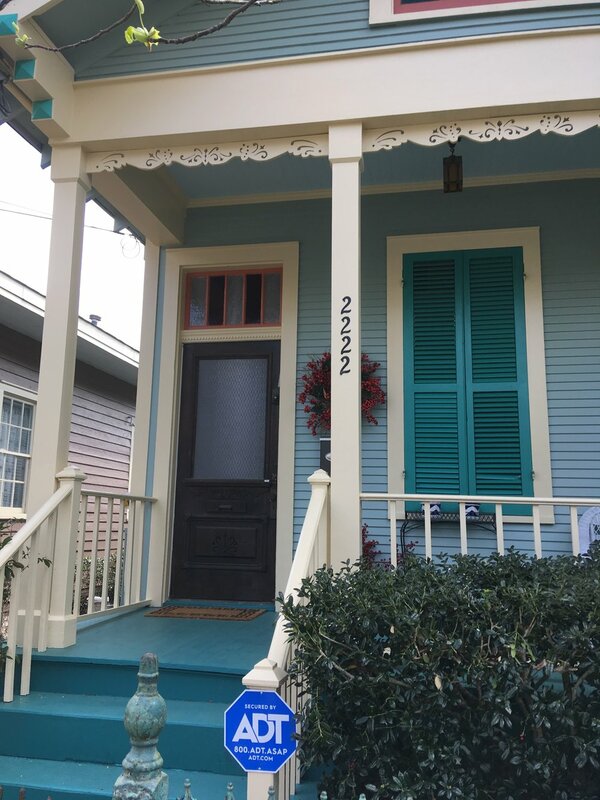 Max’s Painting has a vast knowledge of the conditions and surfaces with exterior painting in New Orleans and Jefferson parish. Weather it is sanding peeling paint off of a century old home or washing the chalk off a stucco house, Max knows the proper process. Proper preparation is the most important step to exterior paint and we have a great attention to detail. Our team is very informative with paint recommendation and knowledgable of the products on the market to best align your need. Our proficiency will save us time and you money! Basic carpentry that is agreed upon is often completed during the paint work to the owners satisfaction for an addition agreed upon price. What areas of you working on? What area of the property are you interested in having serviced? What is the approximate square footage of the area(s) that needs work? When do you need the start the project? Anything else Max Painting should know to provide the best service to you? Whether it is a sheetrock patch or a complete cabinet renovation, Max’s Paint can handle the job. We can do sheetrock repairs and repaint to match existing paint. From crown molding to baseboards, we did it all. Interior doors, trim and hand rail all completed to your satisfaction. Commercial building exterior, interior and roof painting available. See instant gratification with a great pressure wash! Max Painting offers pressure washing services of houses, businesses, driveways/sidewalks and pool surfaces.